Ever since I could remember I've always loved organization; especially in my kitchen since it's where I spend most of my day. Four years ago I came up with a way of organizing my spices that truly makes me happy every time I pass by them. 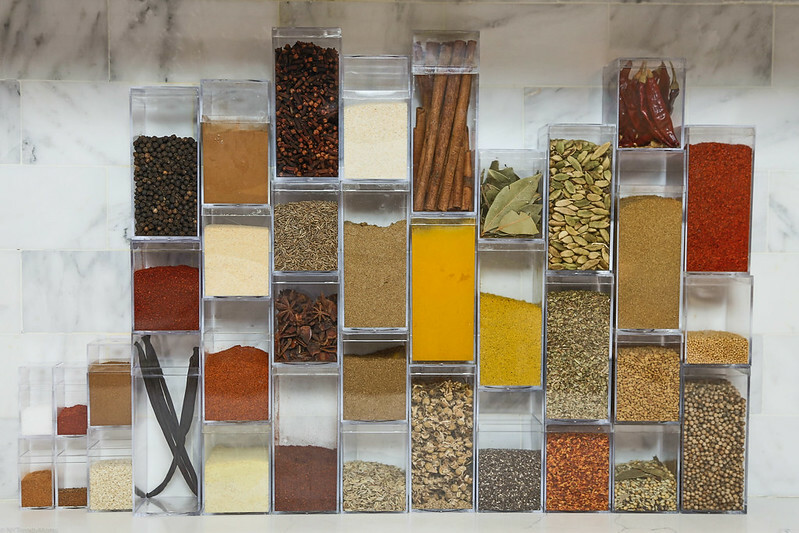 I wanted to create a sleek, colorful and accessible spice display and till this day it is one of the things I haven't changed in my home (even after moving). & I'm known for changing things up quite often. For weeks now I've been hearing a buzz about 'Tidying Up With Marie Kondo' on Netflix so I decided to see what it was all about. Honestly, I didn't like it. I thought her 'method' was simply common sense. I've been folding and organizing this way for over 10 years. What I could say is that after watching two episodes it inspired me to share this post. So, thank you Marie. & Thank goodness for the Container Store! Every single time I visit this store I come out with too many containers and a new big idea. Moe, says this store is trouble and I'm starting to believe it. Over the weekend I stopped by to pick up smaller containers to add sea salt and saffron (new idea I had) and I ended up buying more things for another project. As if I have the time with baby James? I'm a very visual person. 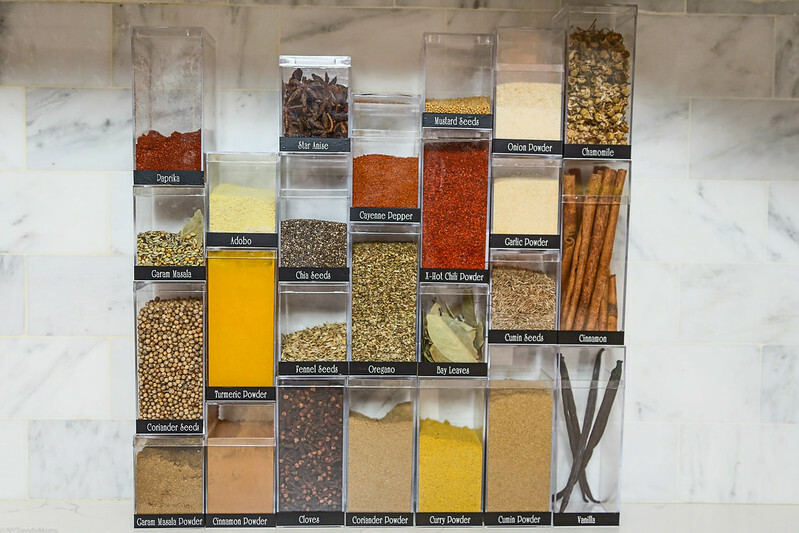 Therefore, one of my favorite things about this display is that you're able to see each spice. Not only that but I also feel more inspired to use the spices. 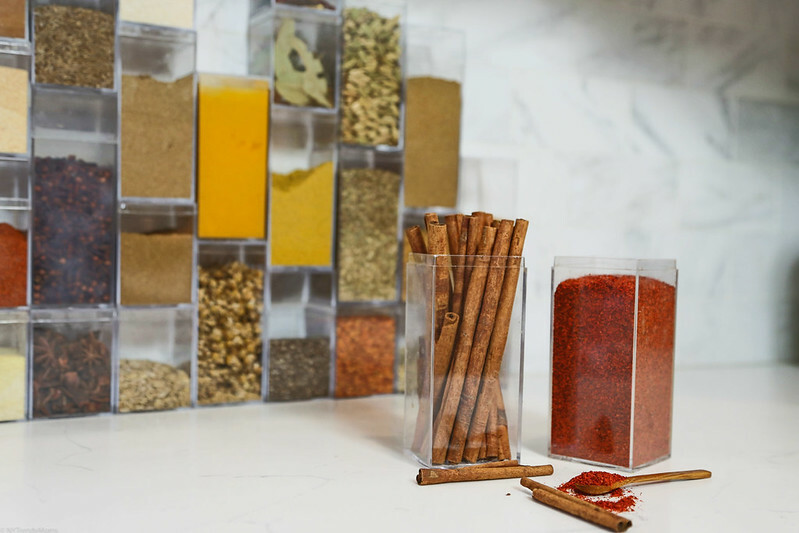 Before this system I would only use the spices I was able to see when I opened my cabinet. This meant cooking basically the same boring stuff every week. After creating this display I now cook different cuisines more often. 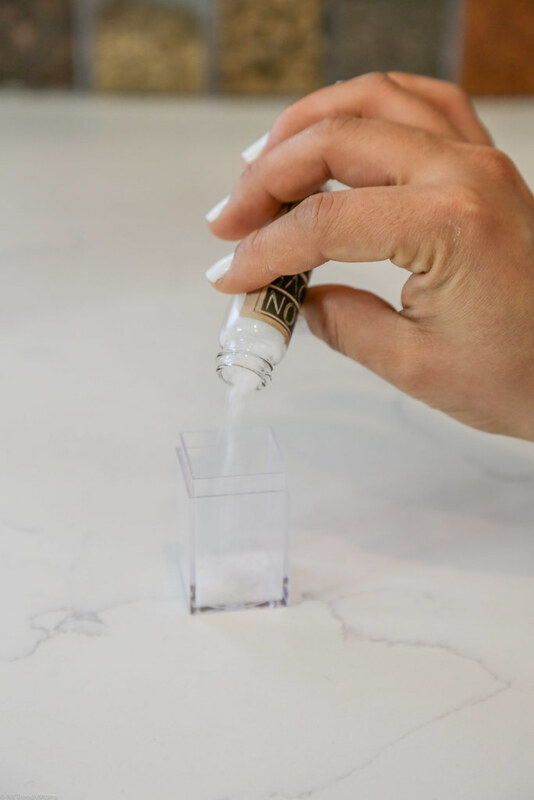 How do you find the spice you're looking for without any labels? Since It's my kitchen and I've been cooking with these spices for awhile I know which spice is which just by looking at them. Although, in the beginning I had to open the containers and smell them to make sure it was the right one. But if your'e new to cooking or don't know much about spices don't be alarmed. Theres a simple fix to this.. just add a label. Add it to the front or the bottom for a seamless look. 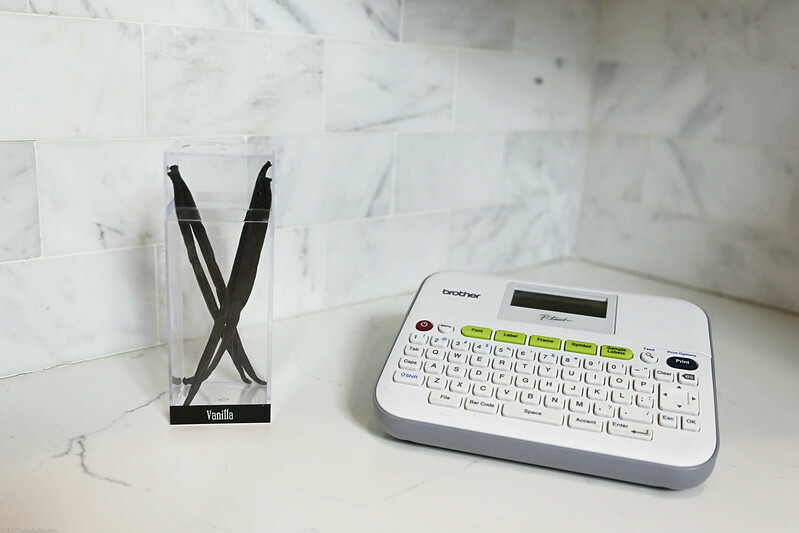 This will allow you to find the spices quicker. 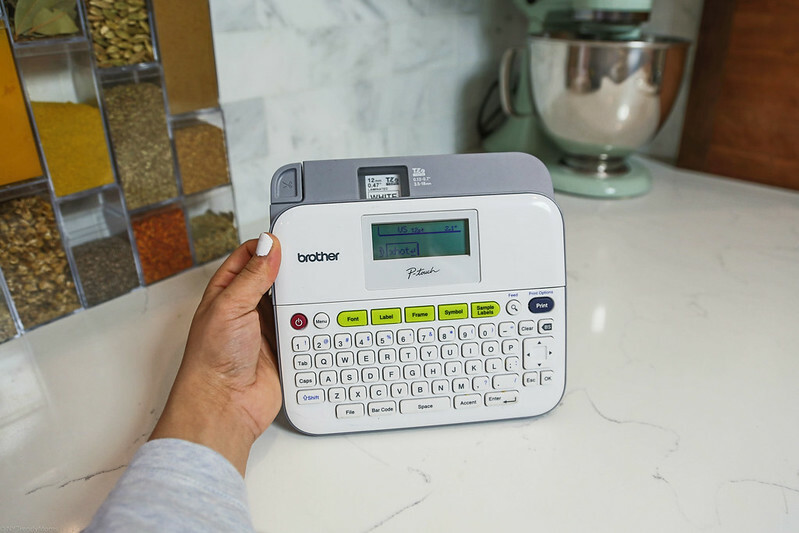 I recommend this brother label maker which I use around the house and have been doing so for years. For the sake of this post I went ahead and labeled a few of my own so you can see what they look like if you were to label them. Of course there are different color papers/fonts you can use to create your preferred label to match your kitchen design. Years ago I had the spices displayed over my stove since the apartment we rented didn't have much counter space. 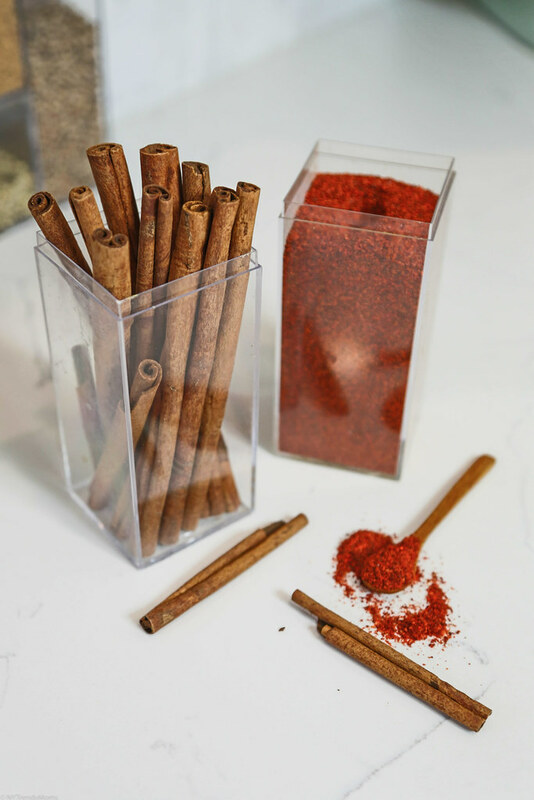 I noticed the exposer to direct heat was damaging the spices and clouding the containers. So after purchasing our home I knew I wanted to have enough counter space to display them without exposing them to direct heat. 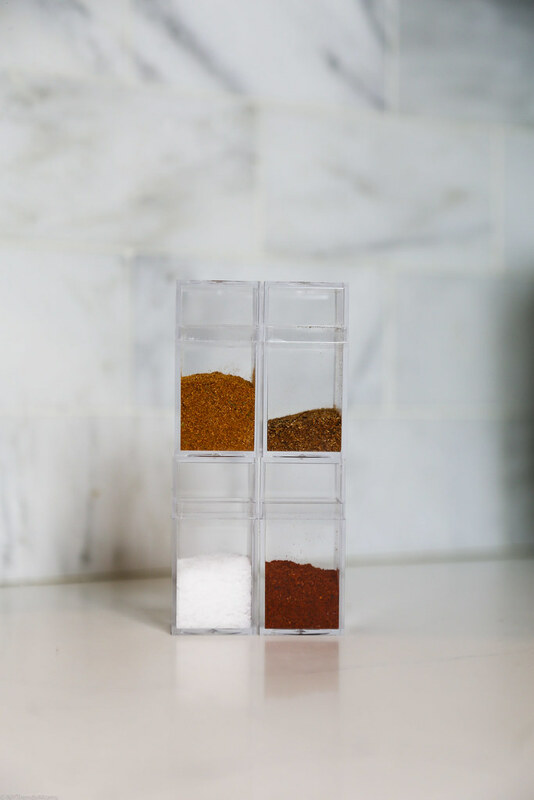 When cooking I put all the spices I will be using right next to my cutting board. If the spice I need is on the bottom I do have to remove the ones on the top in order to get the one I need out. Its not as complicated as it sounds, I promise. Another thing, you might notice some of the lids are taller than others and this is intentional. 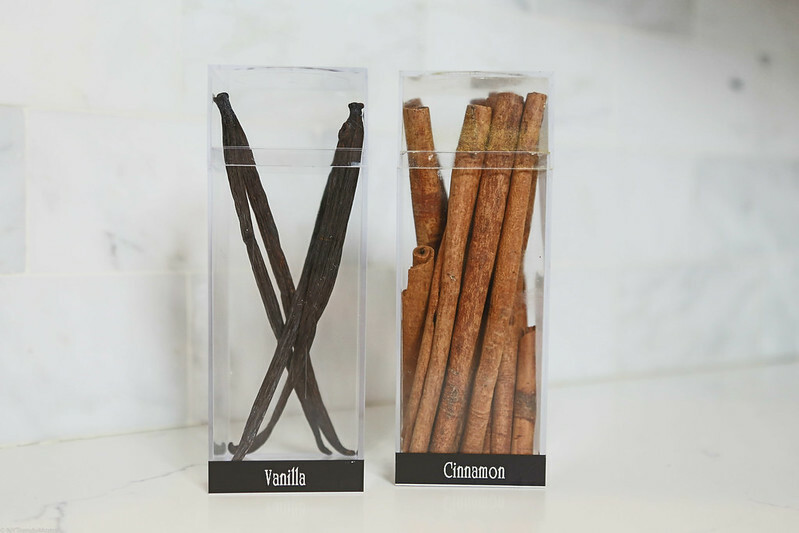 The cinnamon sticks and vanilla bean needed a little more room so I bought the containers with taller lids but they were the same price. Below I've included all the containers and brother label maker linked for your convenience. If you have any questions please comment below and I'll happily answer them.